Create a beautiful water garden without ever lifting a shovel! WELCOME TO KIM'S PONDS. Kim's D.I.Y. pond kits come complete with everything you need to create a beautiful water garden, in about an hour, without ever lifting a shovel. 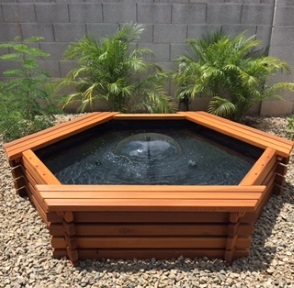 Available in sizes from small to large you can build a patio pond and water garden, install a fish pond on your deck, or add tranquility with water features in a garden or yard pond! 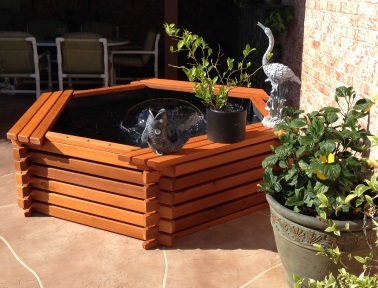 Build the ultimate indoor pond for goldfish or koi with any of Kim's above ground pond kits. Build a koi pond with Kim's partial in-ground pond kits. Beginning with Kim's first pond built for her autistic son Zachary's growing pet koi, a fish called Molly; Kim wanted to create pond kits that anyone could easily set-up themselves. 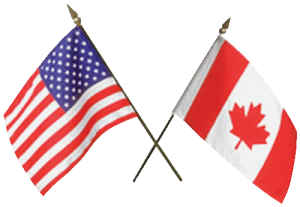 Today over 1,200 pond enthusiasts across Canada and the USA have enjoyedthe super easy set-up, low maintenance, strength and beauty of Kim's elegant, handcrafted, artisan built ponds! We invite you to explore our website to find a pond sized to fit your space and built to meet your needs. It will take you longer to add the water, than to set up your pond! Each pond kit is pre-built, taken apart, packed into boxes and shipped to your home. 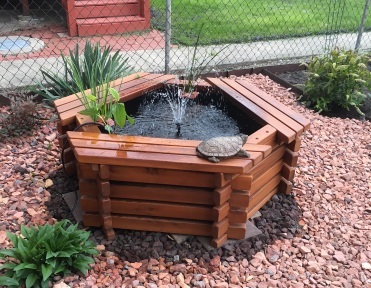 You simply re-assemble the interlocking frame like a little log house, drop in the preformed pond liner, insert and tighten 12 screws into pre-drilled holes to attach the benches. Place the submersible pump into the pond, and add water one time with a garden hose. The water re-circulates, so no plumbing or permanent water lines are required. Many of us dream of owning a luxurious fish pond or water garden. Perhaps a Koi pond, Goldfish pond or maybe a simple, low maintenance backyard water feature for aquatic gardening. Maybe you'd like a tranquility pond where you can sit, relax and enjoy the calming sounds of the water. Most of us put it off. There’s the high cost of a professional installation, or the daunting task of planning, building, and installing a yard pond yourself. There could be heavy equipment and a lot of dirt, or picks and shovels and a lot of work. And then there's the liner, the pump, the filter, the fountains... What to buy, where to get it, and will it work? Today many of us live in densely populated urban areas, with only a small backyard, concrete patio, or a deck available to create our tranquility space. Many people move often and wouldn't want to leave their beautiful pond. Our pond kits can be disassembled easily for relocation! Even if you just want to move your pond to a different location in your yard. NECESSITY REMAINS THE MOTHER OF INVENTION! In 2004, single mom Kim and her son needed a bigger home for their favorite pet koi, A Fish Called Molly. 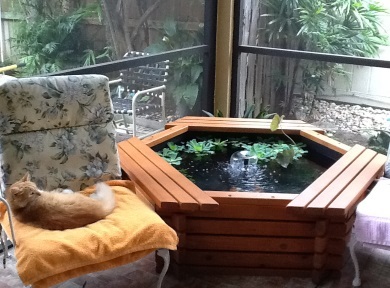 When Kim couldn't find a pond to meet her needs, she set out to build an indoor koi pond of her own design. 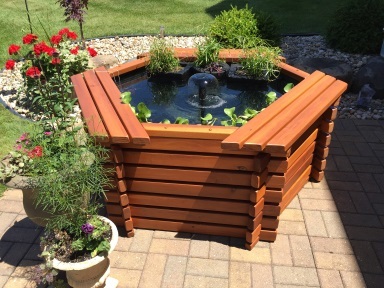 Requests from friends and neighbors for beautiful goldfish ponds or aquatic gardens for themselves soon turned the project into a family business. They told us what they wanted, and we developed our pre-built above ground pond kits to meet their needs. 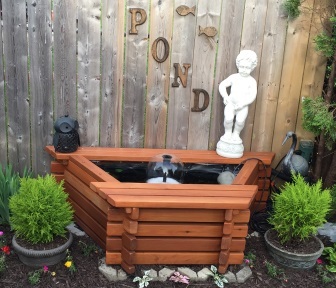 Since 2006, Kim her family and crew have been building and shipping Kim's 'Above Ground Cedar Pond Kits' to pond and water garden enthusiasts all over North America. Our first four years were spent displaying our ponds at 64 trade shows, speaking directly with thousands of pond enthusiasts. With their input and recommendations, we use only high quality components that are proven to do the job! Video set-up instructions are available on the FAQ page and on YouTube. There is a toll free number for customer support. Detailed information on all the components can be found on our FAQ page. The smaller ponds, from the Wall Pond up to the 600 gallon are shipped in 2 to 5 boxes, weighing less than 50 pounds each. The larger frame ponds, from the 800 gallon up to the 1200 gallon are shipped in 4 or 5 boxes, weighing less than 65 pounds.